Rosemary comes from a long line of women who were ‘in tune’. She uses this intuition in sessions with her clients in order to delve deep into the underlying issues preventing them from Living On Purpose. Often Rosemary will use crystal cards to gift a reading to her clients. Through this process she noticed that each crystal also had many profound wisdoms to share with us all. Below are some of those recorded readings. 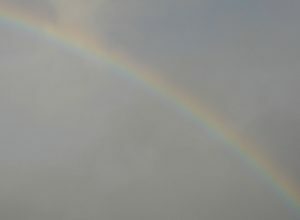 The Rainbow has a message, it was like it wanted to convey something special to everyone. When people see rainbows they make you smile, many feel the joy, hope, happiness, love, good things, luck, magic, miracles, because usually a rainbow shows itself on dull or showery day. By seeing the rainbow it lifts your spirits, like it takes you down a path of wonderland where you can imagine magical wonderful things for yourself. It was like the rainbow was a bow however you could only see the ends, the middle was there, however it was hidden, like an invisible bridge. Many maybe experiencing their routines are upset; appointments cancelled, or changed, feeling out of sorts. They maybe feeling they are at set of cross roads and not sure which direction to go. This appears as confusion, feeling lost, fear of failure or making the wrong decision, fearing the obstacles and challenges that appear to be standing in their way. They have a lack of confidence to step out towards their dream, goal or career changes. However you don’t have to walk it alone, there are people who understand and will walk alongside supporting , giving guidance, and help you move forward while still keeping your eye on your desire or goal. 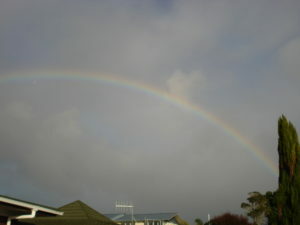 The rainbow message is like there is a path a way forward, even though you are unable to see all of the bridge. You are protected, looked after, and have the support to make your journey through life. You may see only part of the rainbow yet there is a path which is invisible, and you unable to see all the way ahead. Having trust and believing you are being guided, supported. Seeing the weaker fading pale half of the rainbow is your past, the vibrant bright colours of the second half represents your future, The vibrant part of the rainbow helps keep your eye on the ball of what you desire, what you want in life, and being open and aware of the signs and encouragement. You may be surprised what manifests into your life that you never expected which makes your heart sing. Allow the Rainbow into your life every day, feel the sunny vibrant colours of the rainbow absorb and wash over you, releasing your troubles and making you feel lighter. 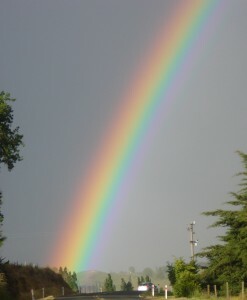 Experience the feeling of abundance the rainbow brings, creating peace, calmness, joy, hope, happiness, love, luck, magic, miracles. These emotions allow you to feel abundant, and abundance comes in many forms, unexpected windfalls, synchronicity’s happening, gifts, being shouted a coffee or dinner, receiving a voucher, an opportunity, the perfect place to live, the job you wanted, being open and aware to the treasures that life brings to you. Let the magic of the rainbow start your day with a spring in your step, a smile on your face, feeling love, joy and happiness. Being patient, tolerant and compassionate towards others, sharing a smile or kind word can make all the difference in someone’s life, it may even save a person’s life, by knowing people care. 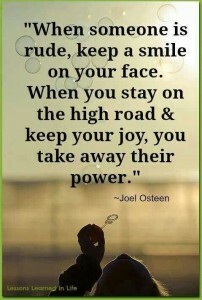 You may never know what your smile or thoughtful word means to someone. Allow the rainbow to weave its magic around you every day, and share the magic out into your world, and all who cross your path. What Does The Word Power Mean to You? While thinking about that question, a message started to flow. So many give away their power. Understanding that you are a powerful being in your own right, can be powerful on its own. However, many feel the fear of owning their power, because when they are owning their power they are also shining their light. Many are afraid to shine, and so they hide behind many obstacles, by making themselves small and giving their power away. When you embrace your power and allow yourself to shine, then many wondrous things can happen. You start seeing your desires start to flow to you, and many other manifestations are happening. When you stand in your Power, you stand tall, you are one with who you are, and you have clarity, inspiration, inspired thoughts, ideas, solutions start flowing to you. You have an energy about you, that you can accomplish or overcome many things, and this in turn Empowers you. When you feel Empowered you feel confident, and you have energy, you take inspired action, and life starts unfolding in a way you didn’t even dream of. 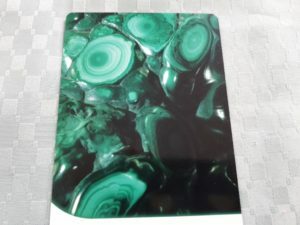 I have a message from Malachite Crystal. Life can appear to be ever ending circles, it feels to many that they are on the same path, and living the same life over and over, year in and year out. Yet they don’t realize that life is full of new pathways, new roads, and journeys, and they are like spirals or circles, all is required is to shift gears and move on to that next path. Some have found themselves in the deep void of despair, and its like they are spiralling down further, and they don’t know how to get from where they are back to the light of day. Even in the darkest places there is always a glimmer of light that shows you the way out, and that path will get lighter and lighter as you follow it. What happens people are so focused on what is in front of them, and the fear they are feeling has trapped them and if feels like they have paralysis. They forget if they turn and look they other way, or in a different direction, that they will see things they have not seen before, and they will find a solution. The message today is that you don’t have to dwell in the deep dark void that you find yourself in, there is a way out, and I am the shining light on those paths to show you there is not just one path but many that you can take. Each path will have a faint glimmer of light, and as you have the courage to take a step on the path the light will get brighter with each step you take. Call upon me Malachite for the strength and see how much light I am shining, and how many different paths for you to take. (look at the photo of the card) As you start on the path it may be bit rocky to start with, and you may feel unsure, however reach out for my hand and I will guide you through and give also permission to let go of the past and leave the past in the deep void. Every experience has a positive aspect, and even an unpleasant experience can have a gift, or a positive aspect that you take with you into the future. Learn to focus on the gifts, the treasures, and blessings as you move forward along the path step by step. Allow my wisdom, healing, and guidance to help you along the path to new horizons. Have courage dear ones, you have an inner strength within you that you are not even aware you have, unleash that strength and your own internal guidance. A message that came from a Quartz crystal back in October 2013, and at the same time I pulled the quartz crystal card to see what message it had. Reading the messages, I felt it was very appropriate to share it with you this week. I felt both messages from the quartz and the card was for someone. Someone wanting to hear the crystals message, and it will help others as well. October 2013 Many are feeling lost and disillusioned; you are searching for something and you’re not sure what. You are chasing around hoping to find some answers, peace, or solution to the challenges you have. Wanting relief from the unrest or restlessness you are feeling. If you stopped and reflected within, with what is surfacing within you, you would see a different picture, you are looking outside of yourself, the answers lie within. By taking time to share a hug, opening your heart up to love, learning to love who you are, you will find so much more peace and contentment, and honour who you are. Still that over active monkey mind, by stilling that active mind by focusing on your breath, observe the breath as you inhale and observe the breath as you exhale. Take time to watch and focus totally on your breath, you will find this will help still that monkey mind of yours. Being thankful, appreciating and feeling gratitude for what you already have in your life. Instead of dwelling on all the negatives, what you don’t have, and what’s not working, you are attracting more of that into your life. Being thankful, and appreciating what you do have, it can be as simple as the chair you are sitting on, the sun is shining, seeing the flowers in the garden, hearing the birds singing, or your home. When you appreciate what you already have in your life, being thankful, feeling gratitude for what you already have. You will feel more love in your life, and you find it easier to appreciate the gifts you already have. Appreciate those beautiful eyes, your lovely hair, your special gift, talent or skill. Your wonderful infectious laugh, that inspires others to laugh with you, as it feels good to do so. Your lovely smile that lights you up, and make others happy and feel good, through you smiling at them, even a perfect stranger can be uplifted by your smile. By appreciating Who You Are, learning to love Yourself; there is no shame or silliness by loving who you are, and know you are worthy to have, and loving yourself, you will find peace and fulfilment in your life. Looking for the key to life or to happiness outside of yourself, is like thinking “if only someone will love me, I will be happy, or if only I had great wealth, I will be happy. Or if I …..fill in the blank I will be happy“. The key to life is happiness, its starts with you, by learning to love who you are, appreciating You, and appreciating Your wonderful gifts, talents and skills. Everyone is unique and everyone has something special to offer to the world, and it may be that beautiful smile. 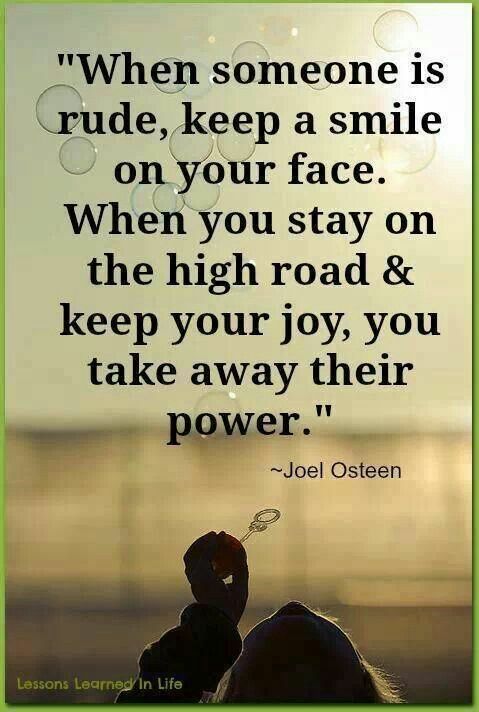 By smiling at someone even a stranger you may make their day, and change the course of their life, by that smile. Simply by showing someone cared enough to give them a smile. Clear Quartz from the Crystal Oracle Cards Life is all about the high and lows you experience in your lives, the peaks and the valleys. My message today is reach for the highs, reach for the peaks of the mountains, there is so much light hope, you can see more when you look up. By looking up, you can see more, see further and you see the big picture. By hiding in the gullies, you can’t see where you are going, you only see what’s in front of you. To rise above your challenges, you are required to climb the peaks, the mountains, so you can see much further. You can do this, it depends if you want to move forward, or stay stuck where you are. Negative thinking is like being in the valleys or gullies and that feels dark, you can’t see ahead, you feel locked into your challenges, and you can’t see any hope. Seeing the mountain peaks as the highs, positivity, hope, and light, you change your perspective, your energy will shift and you will start to feel lighter, positive, and brighter about your situation. Looking at the card there are many peaks and you have choices, and peaks that you can climb in your life. “Do you choose to look for those peaks and climb them?” It will have its challenges, however learning to appreciate what you already have, being happy with whom you are in the present moment, will help you climb the peak. It helps shift your emotions as you start to go through the various emotions as you climb up the peak. As you climb, you will go through depression, hatred, revenge, anger, discouragement, blame, worry. As you climb higher up you will start to find yourself moving into more happier feelings like hope, optimism, positivity, expectation, belief, joy, happiness. On the card there are many peaks, points, and the message, these peaks are all around you, look for them. like a person may say something which is helpful to you. The messages of help are all around you, it’s being aware and alert, and open to them. Feel appreciative and gratitude for these things you already have in your life. You will start to feel better, lighter, optimistic and you will see good things starting to come into your life. Most of all appreciate You, love who you are. Love the way you look, that smile of yours, those wonderful eyes you have, your wonderful laugh, the quirkiness of being you. Your sense of humour. By learning to love and appreciating yourself, feeling good about You, then others will love you for who you are as well. The message that the crystals want to convey is love ‘Who You Are’. Love Yourselves. By loving yourself you love and appreciate others in your life. 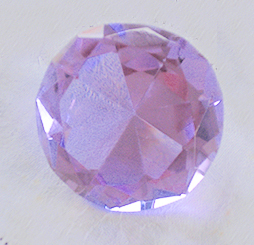 I asked the question to the crystal – “What message do you have that can help people believe in themselves”? Never give up on hope, or give up on yourself. Each of you are a unique, and you are a special person. You have a gift to share, you may not be aware of what this gift is. However, sit quietly and reflect on what makes your heart sing. So many people don’t value the treasures they have within. Yet, you have a unique gift to give to the world, that no one else has. urself for your gift, be grateful and honour this gift. Remember, you are a very special person, it’s time to start believing in who you are, and in yourself. Stand tall, look up and see the world, you are being blinded by the weeds, by looking down. Looking up, will give you a clear vision and sight to see the bigger picture. 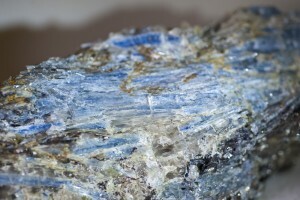 I visited a market day, and I saw a beautiful piece of Kyanite, it was a bit fragile with little bits flaking off, however it was absolutely beautiful. I was wondering why I had been drawn to this beautiful piece. I was considering was I meant to buy this piece. Then the lady of the stall arrived and commented that I was holding the Kyanite, and that it was collector’s piece and I shouldn’t have been holding it. 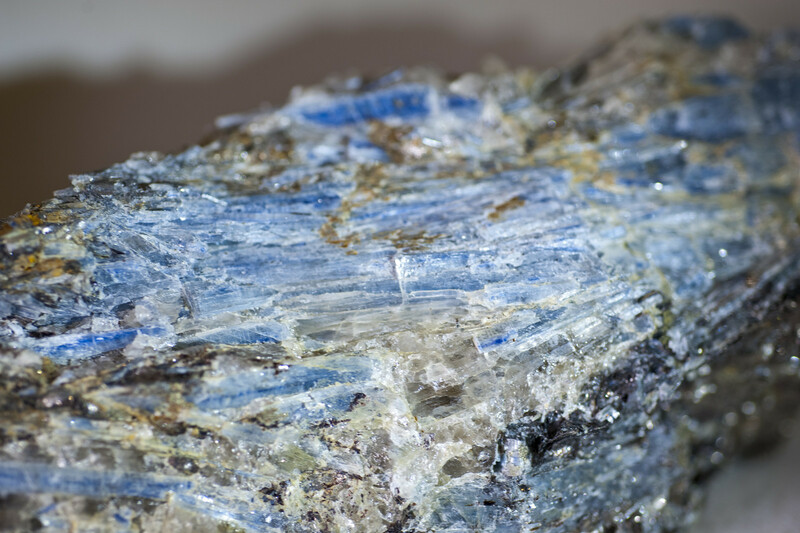 She had a very annoyed energy about her, and I then found my eye attracted to another piece of Kyanite, which was much smaller. I didn’t touch it, however my finger was very close to it. The lady of the stall said “that is also Kyanite” and her attitude and her energy made me walk away, and I commented “she puts you off buying anything”. As we were driving away, I heard I don’t want to be a collector’s item. Then I felt I should have spoken to this lady asking her if she understood crystals? Did she know that if a person is drawn to a crystal that the crystal is actually calling that person? Sometimes that person has to hold it. I felt guilty that I had not spoken up and I had just walked away. I was typing up the message the next evening, and I found that the large piece of Kyanite connected with me, and started talking to me, and here is the message. “I have work to do and I won’t be able to do it with this lady, however through your connection with me by picking me up, and holding me and loving me for those short few minutes you have released in me the power to start doing my work. Your focus on the one you pointed to, you also activated that one as well, and there is a lot of energy now emitting and great work has been instigated and healing is now happening. Thank you for your part you played in this, and thank you for being inspired to pick me up. Be aware that you don’t have to buy us crystals, even though you are drawn to us. Sometimes we only require your energy to activate a power within us so we can start doing the work we were created to do. This goes for all crystals; you will always know which crystal that wants to go home with you. Just by holding us, admiring and loving us, you are connecting and activating us. We can work with you from a distance so don’t be afraid to pick us up, and know that you don’t always have to buy us. I am honoured you have asked me to give a message to the people who are going to read your article. 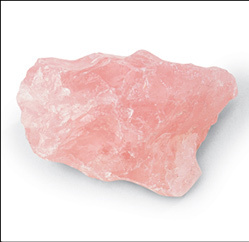 I am Rose Quartz – I am love – and that is what so many people are lacking in the world today. Love. They even forget to love themselves and you see them doing harmful or hurtful things to themselves, because they don’t feel good enough and they don’t feel worthy of love. Every person on this earth is unique, and they all have a gift within them, it’s their choice if they share that gift or not, it’s their decision what they do with their gift. However I, Rose Quartz want them to know they are greatly loved, even if they are unaware of it, they are greatly loved. They could even start a mantra” I am greatly loved” this will help them by starting to feel differently about things and feel lighter within themselves. Oh yes I can hear people saying what about the homeless, or the people on beneficiaries, or the people in third world countries. Yes they all of them have a gift within them that no one else has. Look at the people of the third world countries many laugh, smile, dance they are happy people. They understand the true meaning of life. This is what society has forgotten, they have forgotten their roots. They have lost the meaning of life. If everyone stopped and looked at their lives and were totally honest with themselves, and how they were truly feeling, and believed they are loved, you would see, over time, a change, love can make a difference, and by loving and honouring yourself first, you will start to change your perspective and start seeing things differently and this is when you start discovering things about you and what you have to offer the world. I am called Flower am the colour of amethyst and I have been cut in facets and look like a gem – I am a faceted piece of quartz and I have the power, I chose my owner. She felt my energy hit her heart, it made her take notice and she knew that she had to have me. I give love and love is such a powerful nurturing emotion. Love is the greater power and its even more powerful than fear. However so many people are in fear they fear so much in their lives that at times paralyze themselves with fear they don’t know how to let go of the fear that he’s taken control of their lives. Too them fear is like a cage that surrounds them. How do you release the fear that has such a strangle hold on you that paralyze you this feels s real. If you are able to hold in your hand a crystal or something that you treasure and hold it close to your hear and sit and listen to beautiful music or do a mediation. This will help unlock the stranglehold of fear and it will allow the paralysis to loosen and call upon the Angel of Peace to come in and visualize the presence of this angel. Visualize the Angel of Peace placing a flame into your hear and let the flame fill your heart or let it grow so full your whole body an aura, and visualize the flame to disperse the burden of fear and dissolve the fear and feel a calmness to start to grow. My dear lady often held me to her heart when she feels trouble or anxiety. Tonight she held me to her heart and plays lovely music or a meditation to help restore her equilibrium back to a peaceful state after a stressful time. I am honoured to be able to impart this message because it’s important for people to realize the power of the Black Obsidian I am. I have tremendous healing powers and I take all negativity away, not only with your electromagnetic areas but also from you. You our dear lady felt the tremendous healing as you sat with me holding me over your solar plexus. You felt the energy flowing. 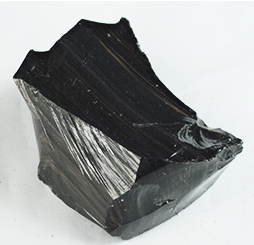 Many people have the misinterpretation of the obsidian and especially the black obsidian. Yes we have a role to play in keeping your work areas and electromagnetic areas free, however we can be beautiful as well, like I am. 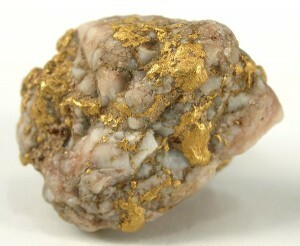 I am very smooth, and quite large (15cmx15cm) and I am shiny and quite heavy. Yes I was absorbing your pain, the negativity that you have absorbed, and I was cleansing and purifying your heart energy – you are feeling better and you are feeling lightness already from holding me over your heart area. If you don’t already have a crystal in your life, look for the opportunity to have one, remember we choose you, you don’t choose us. You will know if we are choosing you – there will be a knowing, a feeling, you will keep wandering back to admire us and be thinking will I, won’t I. Or you may hear the word me, or this one, or a thought may pop into your head, yes this is the one, there many ways we will speak to you. Be open to hear. The road to life can be rocky, it can be filled with twists and turns, you have dark spots and challenges along the way. There are solutions as well for your challenges, however to discover your solutions you have to be in a different space than you are now. Like steps or levels, your solution is a few steps up the ladder or staircase from where you are now. Imagine you are climbing a staircase, and there is a landing before you go up another flight of stairs. On that landing there are several different solutions for you to choose from, or decide which is best for you. You can see the landing it’s not that far away, however to get a better view of the landing you have to climb up 3 or 4 steps further up, to enable you to get a better picture of the landing, and see the solutions. This is where fear sets in, you are so caught up in the drama of your challenge, that you feel paralyzed and unable to take that step. You feel comfortable where you are at, even though you are in pain, and that pain is hurting really bad. The fear of moving from where you are is overpowering. When you are in this situation take time out, go to a quiet place, to a garden, or outdoors, or if you are unable to go anywhere, stop and breathe. Breathe, deep breaths and just let the breath flow out of you. You could even imagine when letting go of the outward breath, that all you tensions, stresses, pain are flowing out of your cells, out of your body like smoke drifting up from a fire, see the tensions stresses flowing out of your body, from all over your body like smoke drifting and then smoke drifting away and evaporating into the atmosphere. By breathing deeply, you are slowly calming your body down, and your mind, even listening to some beautiful music can calm you down. Finding this quiet place, where you can start to relax, and release the tension, you are able to start feeling much calmer, it’s like stepping away and observing yourself, and letting the music, or nature, or your breathing relax you. Often in this stat you may get ideas, inspirations, and inspired thought. An answer may not come immediately, it may come within a few minutes, a day, it could come in the form of a hearing a song on the radio, or someone talking about something, or you hear something that resonates with you. A book may fall at your feet while passing a book case, or when in a bookshop, when this happens there is usually and answers to your problem in that book. You may see a picture; get an inspired thought to do something. Be aware and open to synchronicities and coincidences that appear in your life. Plus don’t forget to ask your angels, and your soul to help you, hand over your challenges to them, and ask them to give you guidance and help you find the solution. They are there to help you, however they are respectful of you as a person, and they have to be asked for help. They won’t push themselves on you; they are always there right beside you, waiting to be asked by you for help. “I have discovered my life purpose & paths leading me closer to my goal"